Send details of Archer House, Stockport Town Centre to a friend by completing the information below. 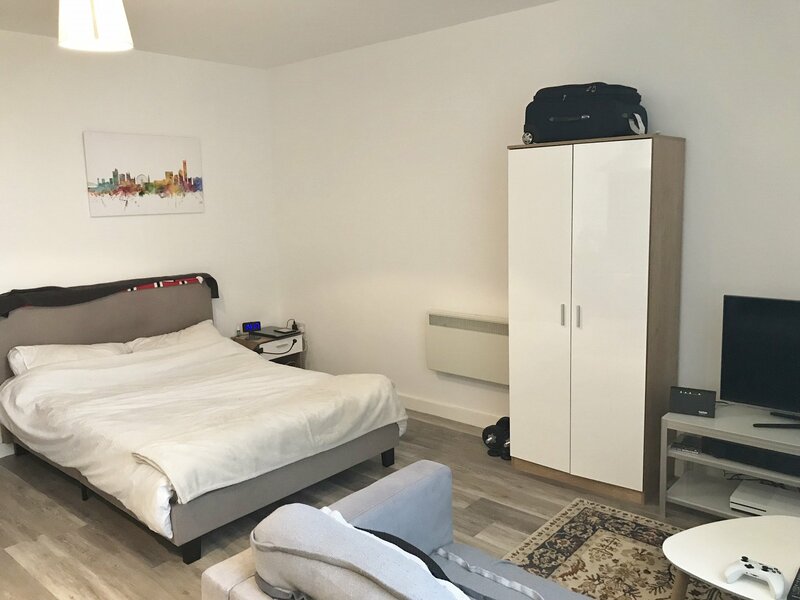 *** CONTEMPORARY FULLY FURNISHED STUDIO *** EXCELLENT VALUE FOR MONEY *** GREAT VIEWS *** We are offering a well-appointed contemporary STUDIO situated on the third floor which is ideal for the single professional looking for high quality affordable accommodation in the heart of Stockport's business district. 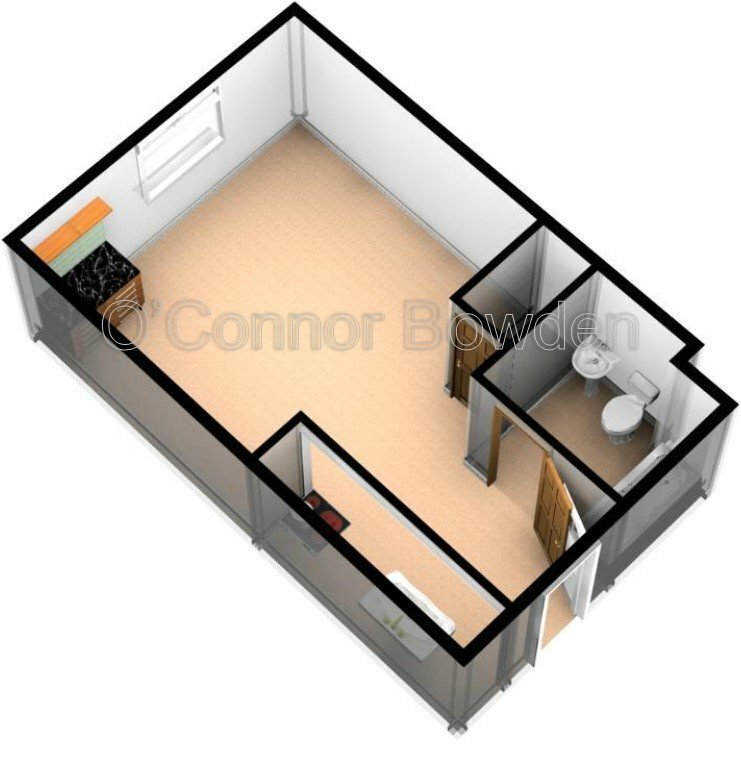 The STUDIO benefits from an open planning living and sleeping area with a fitted high-gloss white kitchen complemented by integrated oven, hob, cooker extractor, washer/drier and fridge freezer; laminate flooring; LED lighting; double glazing; electric heating and an enclosed bathroom with WC, a shower over the bath and wall and floor tiles. 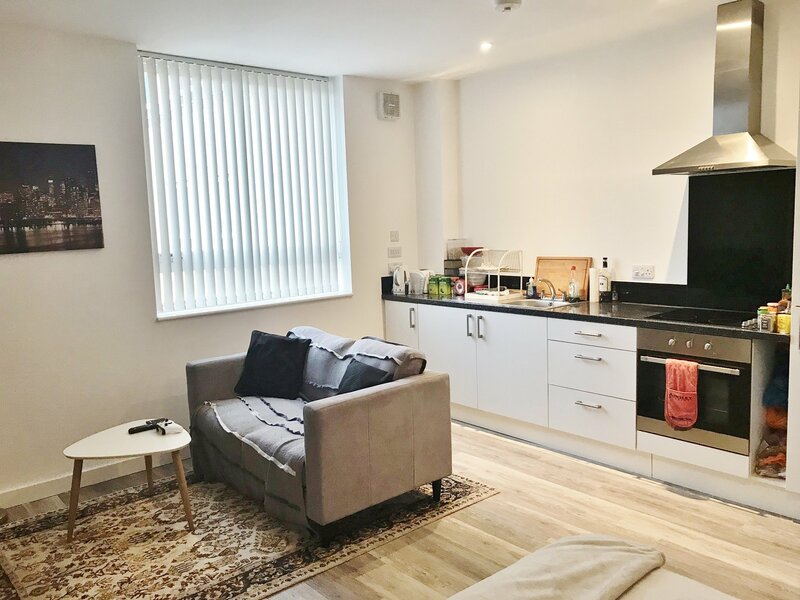 The development provides secure services including; an access controlled entry system, stairs and lifts to all floors and an allocated car parking space within the private car park at Archer House. 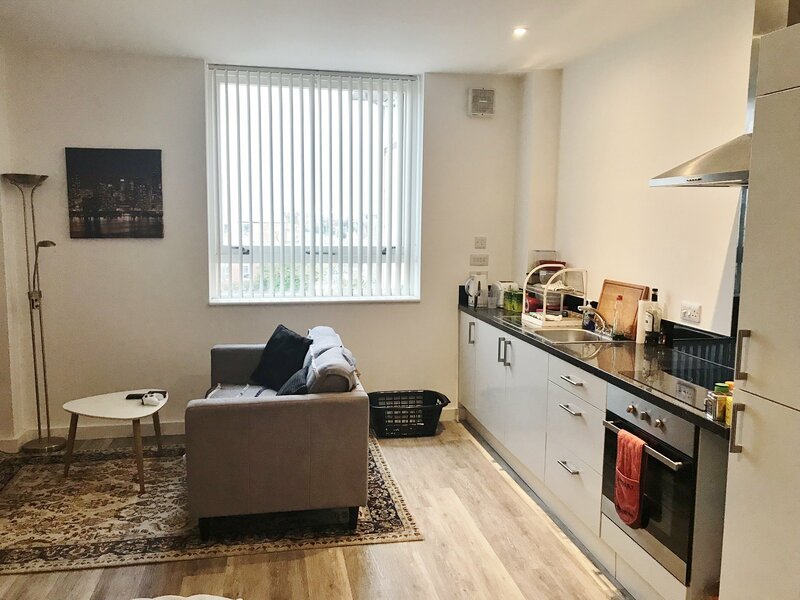 Due to the town centre location and ease of commuting to nearby Manchester City Centre, by road and rail, apartments within this development are in high demand from professional tenants seeking both convenience and contemporary town centre living. 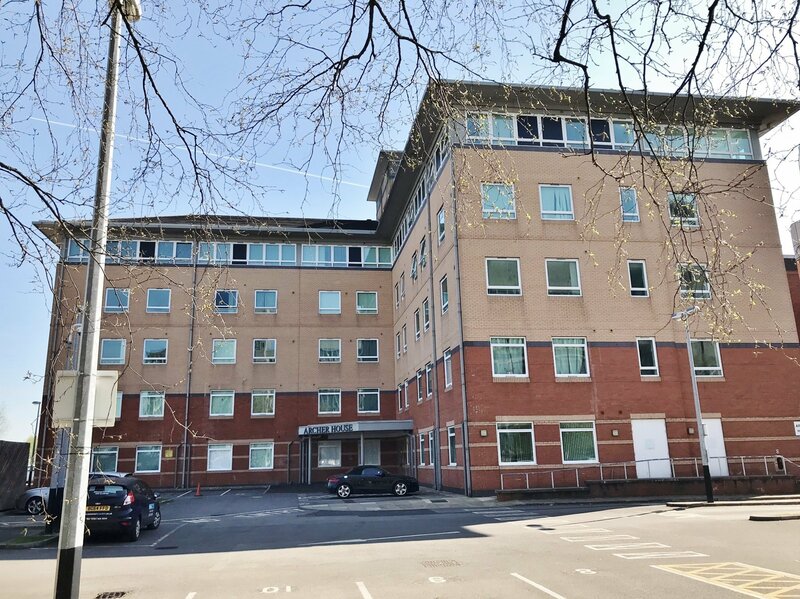 The development is located in the heart of the town's business district, behind Stockport Law Courts and adjacent to the Town Hall and numerous Government office buildings. You could not get a better position for a young professional working in one of the many offices in Stockport. 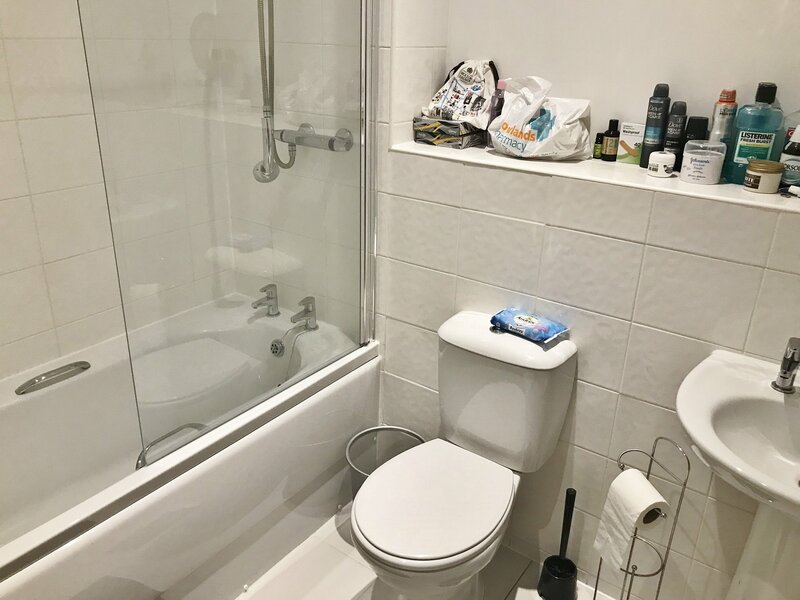 The location provides residents with the convenience for accessing their workplace, numerous town's bars and restaurants nearby for evening entertainment and at the weekend, the town's vast shopping centre and historic market is immediately on hand. ARCHER HOUSE is close to Stockport Collage Campus. The region's main hospital, Stepping Hill, is approximately 1.8 miles south of the development. 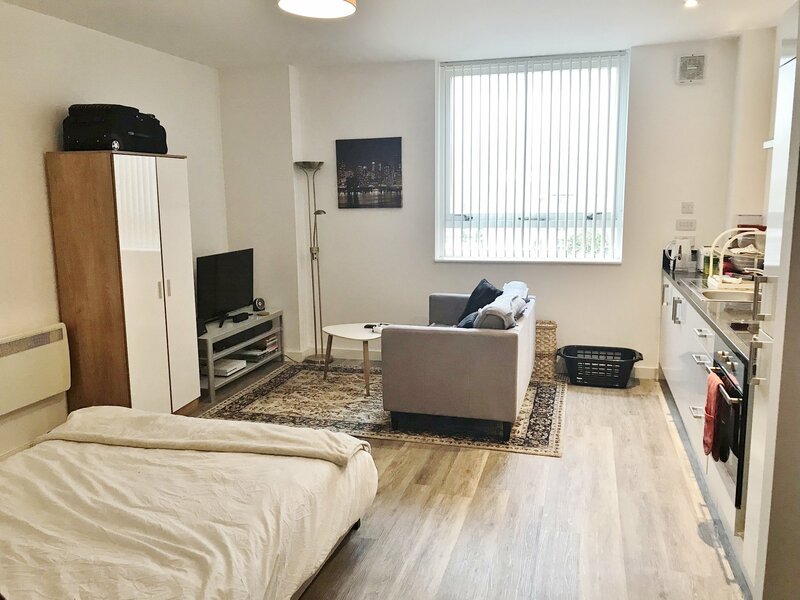 TRANSPORT LINKS: ARCHER HOUSE is located adjacent to the A6, Wellington Road South the main southern artery road leading towards Manchester City Centre. Stockport Bus Terminus and main line railway station for Manchester to London is both a five minute walk away. The railway station is already one of the best connected town centre stations in the UK. For drivers, the M60 orbital motorway is accessed from the town centre at Junction 1, within a couple of minutes from ARCHER HOUSE. AMENITIES: Shopping and retail business is centred in and round "Merseyway" retail centre and hosts numerous high street vendors such as River Island, Next, Primark and Debenhams. The vast retail area is also supported by the large Historic 'old town' Market and Victorian Market Hall together with the Peel Centre, a large modern retail park also adjacent to Merseyway. There are three large superstores in town, Tesco Extra, Sainsbury's and Asda. The new Redrock Leisure destination is to the north side of Merseyway and is Stockport's latest Urban Realm with a 10 screen multiplex cinema, entertainment areas, shops, restaurants, bars and cafes.